LONDON, Sporting Alert — England’s record goalscorer Wayne Rooney has announced his retirement from international football. Rooney, the leading all-time goalscorer for England, scored a record 53 goals in 119 appearances for his country and has more caps than any other Three Lions outfield player. The 31-year-old revealed that he received a call from England boss Gareth Southgate on Tuesday stating that he wanted to include the forward in his upcoming squad after he made a fine start to life back at Everton. However, the former Manchester United captain decided to end his international career and will now concentrate on playing club football. “It was great that Gareth Southgate called me this week to tell me he wanted me back in the England squad for the upcoming matches. 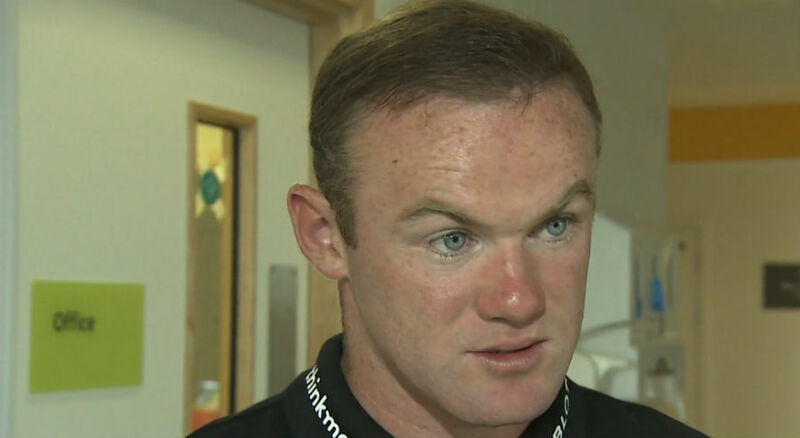 I really appreciated that,” Rooney said in a statement released to Press Association Sport. “However, having already thought long and hard, I told Gareth that I had now decided to retire for good from international football. “It is a really tough decision and one I have discussed with my family, my manager at Everton and those closest to me. “Playing for England has always been special to me. Every time I was selected as a player or captain was a real privilege and I thank everyone who helped me. Rooney, who netted his 200th English Premier League goal in the 1-1 draw at Manchester City added: “Leaving Manchester United was a tough call but I know I made the right decision in coming home to Everton. Now I want to focus all my energies on helping them be successful. “I will always remain a passionate England fan. “One of my very few regrets is not to have been part of a successful England tournament side. “Hopefully the exciting players Gareth is bringing through can take that ambition further and I hope everyone will get behind the team. Rooney scored two goals in the first two games of the season for Everton and many had thought his desired move from Old Trafford back to his boyhood club had set the platform for an England recall. It was only recently former England striker Sir Geoff Hurst urged Southgate to ditched Rooney and focused more on the younger players. “He [Southgate] has made some bold decisions and I think the bold one he can make is, for me, to say it’s the end of Wayne Rooney’s international career,” said Hurst, whose hat-trick helped England to their lone World Cup title in 1966.